Gionee to launch Gionee A1 and A1 Plus smartphones at the Mobile World Congress (MWC) 2017 in Barcelona on February 27th. William Lu, CEO, and president of Gionee will reveal more details about these new smartphones. 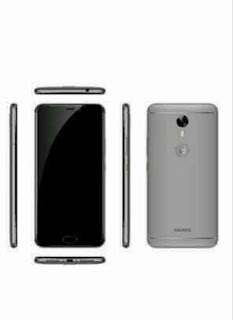 Gionee A1 and A1 smartphones are expected to come in two different sizes and feature a slim design. Gionee A1 to feature a 5.5-inch Full HD 1080x1920 pixels Display powered by Helio P10 Octa Core processor coupled with 4GB of RAM and 64GB of internal storage which is further expandable up to 128GB. Gionee A1 and A1 Plus event starts at 11 AM CET (3:30 PM IST) on February 27th. Gionee will also showcase these smartphones from February 27th till March 2nd.